The Andersons Inc. has released financial results for the fourth quarter and full year results for 2013, reporting record operating income of $50.6 million for the company's ethanol group. In 2012, the group reported a $3.7 million loss. According to a new report from Navigant Research, global demand for biofuels for road transportation will grow from 32.4 billion gallons in 2013 to 51.1 billion by 2022. The report analyzes the emerging markets and future opportunities for biofuels. Rep. Dave Loebsack, D-Iowa., has introduced legislation that aims to establish a USDA grant program that would provide investments for retail infrastructure for biofuels, hydrogen fuels and electric vehicles. The Railway Supply Institute Committee on Tank Cars has called on the U.S. Department of Transportation to consider several new safety measures for tank cars carrying crude oil and ethanol. Archer Daniels Midland Co. has committed to a $25 million equity investment in Rennovia Inc., privately held company that develops catalysts and processes for the cost-advantaged production of chemical products from renewable feedstocks. The U.K. Department of Energy and Climate Change has published updated statistics on its renewable transport fuel obligation for the full 2012-'13 compliance year and a portion of the current compliance year, which ends on April 14. 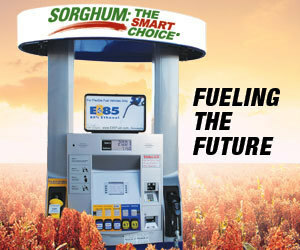 The National Corn Growers Association's Ethanol Committee met last week in Detroit, Mich., to discuss everything from the latest research on ethanol use in small engines to growing opportunities for distiller's grains. Ron Beemiller, president and CEO of WB Services LLC, has announced the launch of a Clean Energy Scholarship Program. The purpose of the scholarship is to promote the study and ultimately a career in the field of renewable fuels. As of today, approximately 40,000 Americans from all walks of life have submitted comments to the U.S. EPA voicing their opposition to the agency's proposed cut to the 2014 renewable fuel standard (RFS). An ethanol-fueled vehicle designed by a team of students from Thailand earned the top place at the Shell Eco-marathon Asia 2014. Team "How Much Ethanol" from Panjavidhya Technological College Thailand drove 2,730 kilometers on a 1 liter of ethanol. The U.S. Energy Information Administration has revised its forecast for 2014 ethanol production in its February Short-Term Energy Outlook. The EIA now predicts the U.S. ethanol industry will produce an average of 908,000 barrels per day this year. With no changes to production estimates, the USDA's monthly World Agriculture Supply and Demand Estimates report lowered feed grain ending stocks for the marketing year in progress based on a 150-million-bushel increase projected for corn exports.